While I sit contemplating and comprehending, my thoughts are suddenly interrupted by the appearance of a seal. This creature of the ocean seems as surprised as I am. 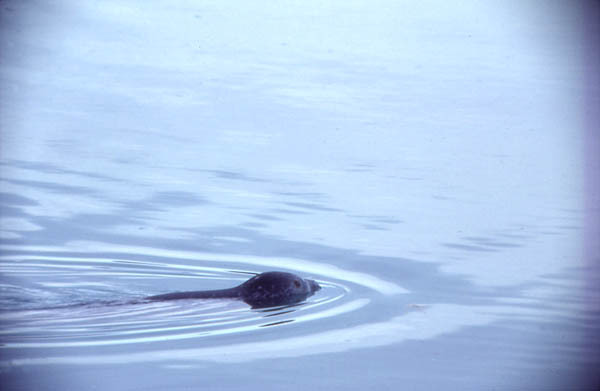 It is a ringed seal, a favourite prey for polar bears. I am not prepared for this photograph.